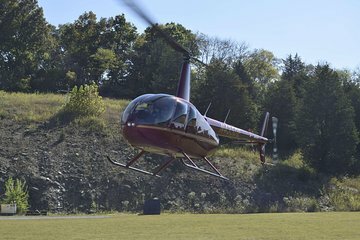 Take to the skies for a memorable helicopter flight over the French Broad River and the foothills of the Smoky Mountains. Get an aerial view of Sevier County’s rolling hills, Douglas Lake, and the majestic ridges and valleys of Great Smoky Mountains National Park in the distance. Listen to the pilot’s live narration using headsets, and keep your camera handy for amazing aerial photos of Tennessee’s most inspiring scenery on the 8-mile (13-km) flight. We ABSOLUTELY LOVED IT!!!! We were very pleasantly surprised and our pilot was excellent. Will definitely go on a longer tour next time!